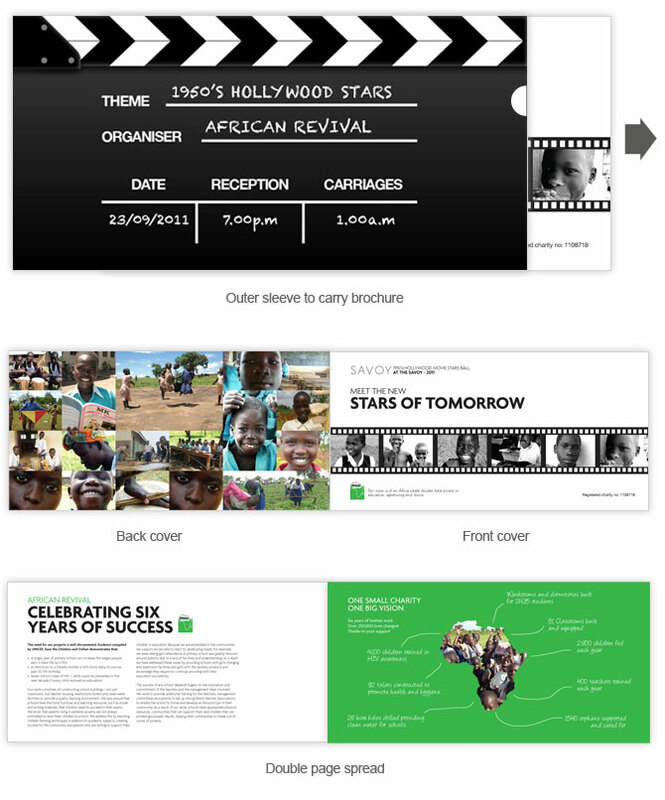 We were approached by African Revival to design their Annual Ball Event Brochure, we thrashed out ideas and came up with various concepts.The team at African Revival decided to go forward with the movie clipper board idea. The brochure was to fit snug inside an outer case to reveal the strong message. We look forward to working with African Revival again soon.